A few weeks ago I was in Chelsea's Muhlenberg Library and noticed that finding seating in the adult area was getting pretty tight. 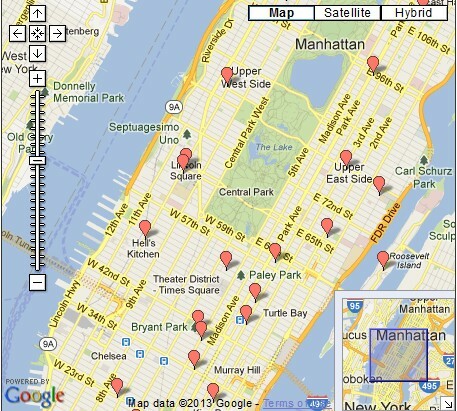 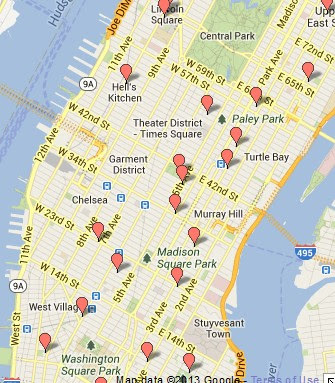 Looking at this map, it 's easy to see why, most of the libraries in the middle of Manhattan are on the east side. 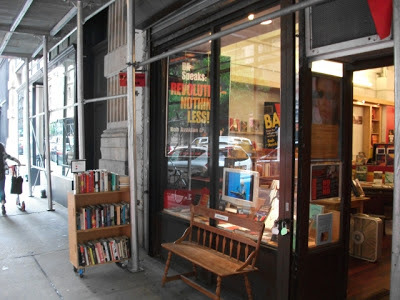 Also 2 book retailer superstores, which acted as defacto reading rooms (the barnes and Nonel on 6th @21st, and the Borders at 7th and 33rd) recently closed down. 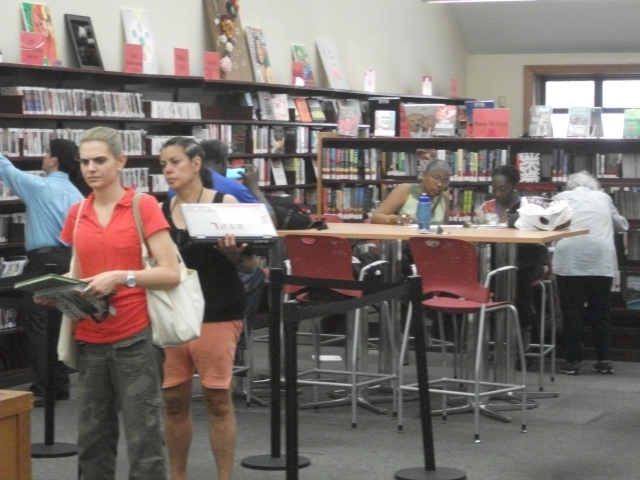 So the Muhlenberg branch with its very limited adult seating capacity(30 people) has to serve a rather large and increasing in size area reading population. 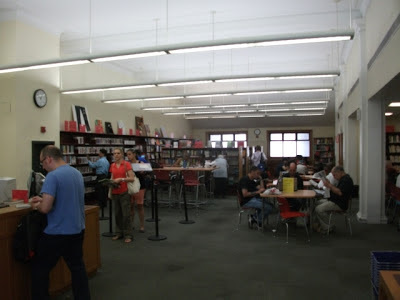 According to Muhlenberg head librarian Ashley Curran, library patrons brought up the need of extra seating to her and she found a solution for it by shifting and consolidating the collection so as to add room for additional seating. 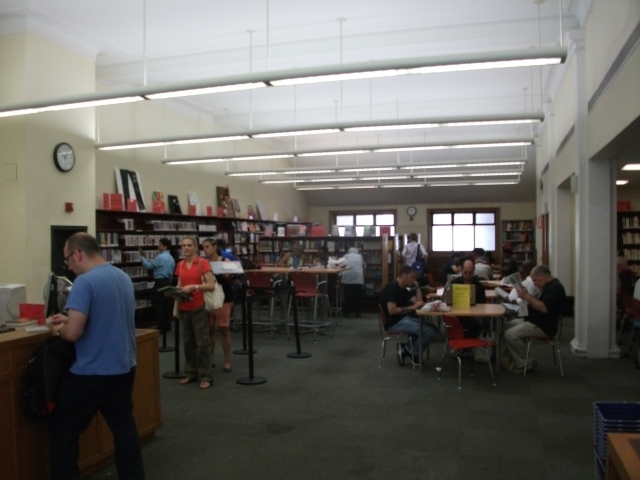 Here is shown the front book stacks were taken out and replaced by 2 new tables and chairs. and it has also created a defacto outdoor reading room for patrons. Most people passing the Muhlenberg Citybench think it's just for sitting. 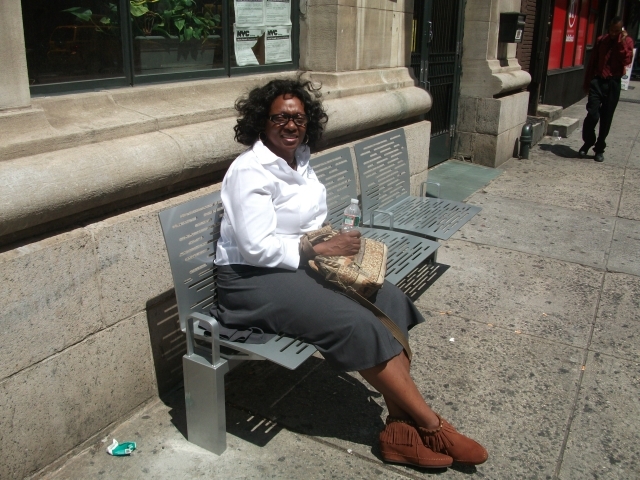 I was thinking, what about adding a sign to let people know that the bench is also meant for reading and wi-fi access. This will increase its use as an outdoor reading room. 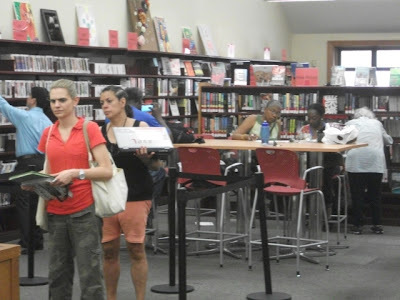 Here's a Reading cafe from a library in Australia, the book cart is very moveable. There's a small cart with an eclectic collection of books for sale outdoors at Chelsea's Revolutionary Books, and a bench is also in front of the store . And here's the Bryant Park Outdoor Reading Room with moveable racks offering books, magazines and newspapers to people sitting outdoors in Bryant Park. 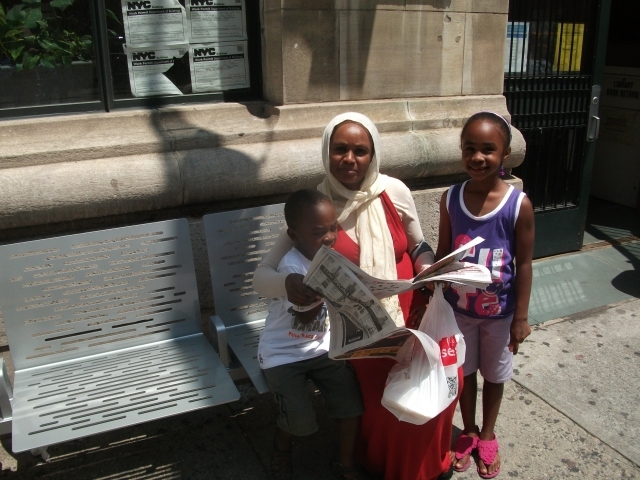 If we can actually get NYPL to agree to a movable cart for the bench, the next question becomes how to stock it. 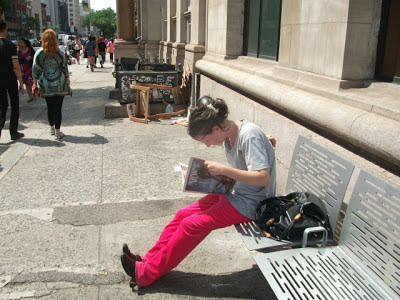 One thought, rather than have the proposed Muhlenberg Outdoor Reading Room being stocked exclusively by the NYPL, how about it becomes Chelsea's first community book exchange where residents can take and leave items to read? 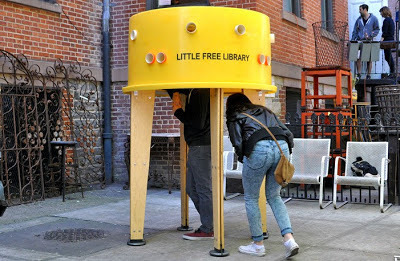 The Little Free Libraries concept of Take a book, Leave a book with over 5000 LFL's installed worldwide show that this mode is a viable way to do this. Little free Libraries do not always come with adjacent seating, here's 2 examples that do. 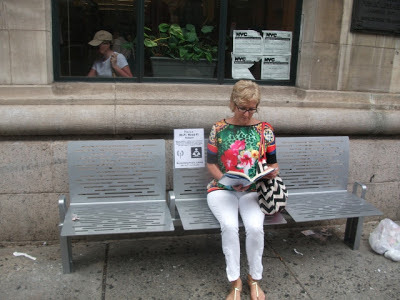 a Little Free Library adjacent to a bench. 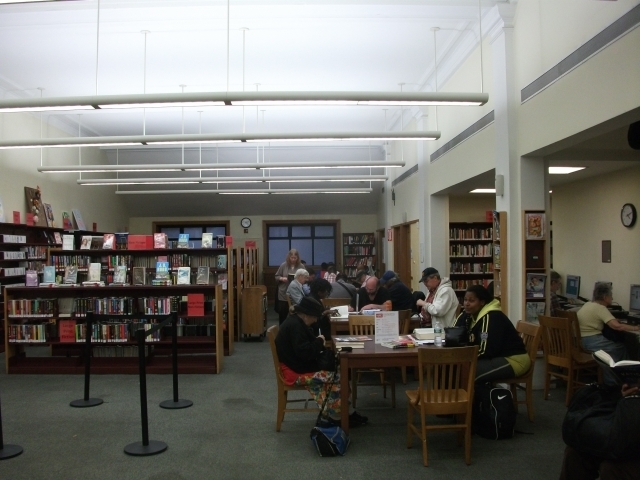 In addition to stocked outdoor reading rooms, adding pickup lockers to these rooms, can turn them into satellite library sites. 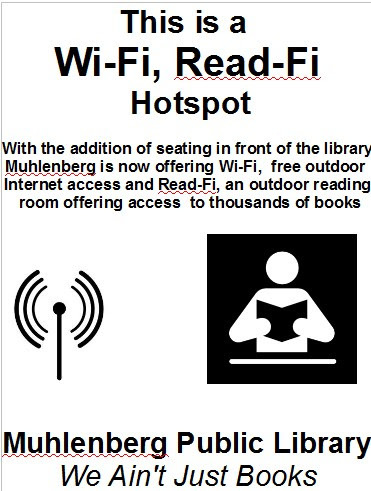 -The addition of the defacto Muhlenberg outdoor reading room seating has increased the libraries adult book reading seating capacity by 10%, not bad for an item that cost the city under $400. 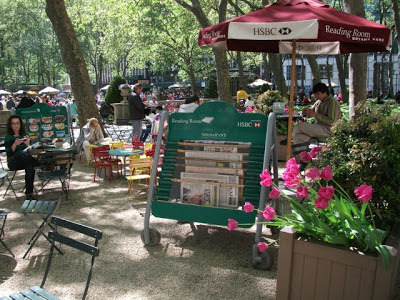 -If we can get the NYPL to install a movable reading materials holder placed in front of the Muhlenberg, it will enhance the usefulness of Chelsea's new outdoors library reading room.